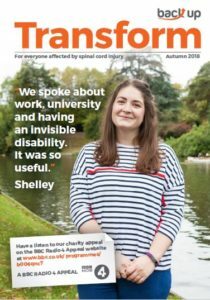 UPDATE: We are not currently producing any more editions of our Transform magazine. 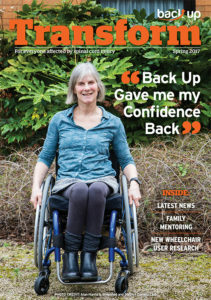 Please do feel free to enjoy our back catalogue of issues below and visit our news and stories section for the latest updates from Back Up. 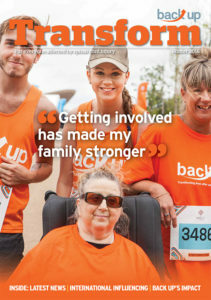 Back Up’s free magazine Transform is for people with a spinal cord injury, families, friends, professionals and supporters. It is produced and mailed out twice a year. 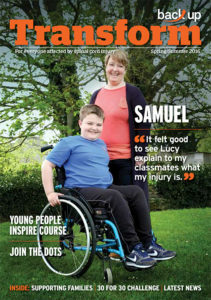 Keep up to date with the latest courses, events and news from Back Up. 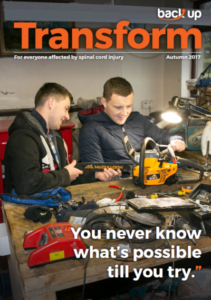 If you would like to receive a postal copy of Transform, please contact us on 020 8875 1805. 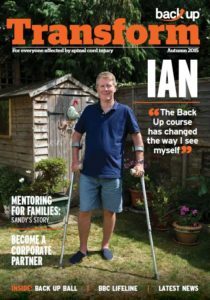 If you would like to discuss advertising with Transform, contact our Corporate Partnerships Manager, Tim, on 020 8875 1805. To sign up for our monthly e-newsletter, please use the keep updated box below.